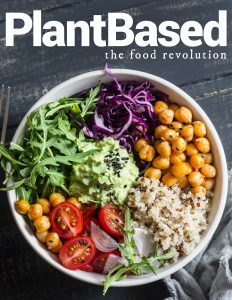 PlantBased is the ultimate resource for vegan recipes. The aim is to provide you with vegan meal ideas that are easy to follow and simple to cook — no matter your reasons for eating a plant based diet, whether you’re meat reducing or vegan curious, our delicious food including easy vegetarian recipes contain no animal products and are entirely plant based. This is vegan food like you’ve never seen it before!